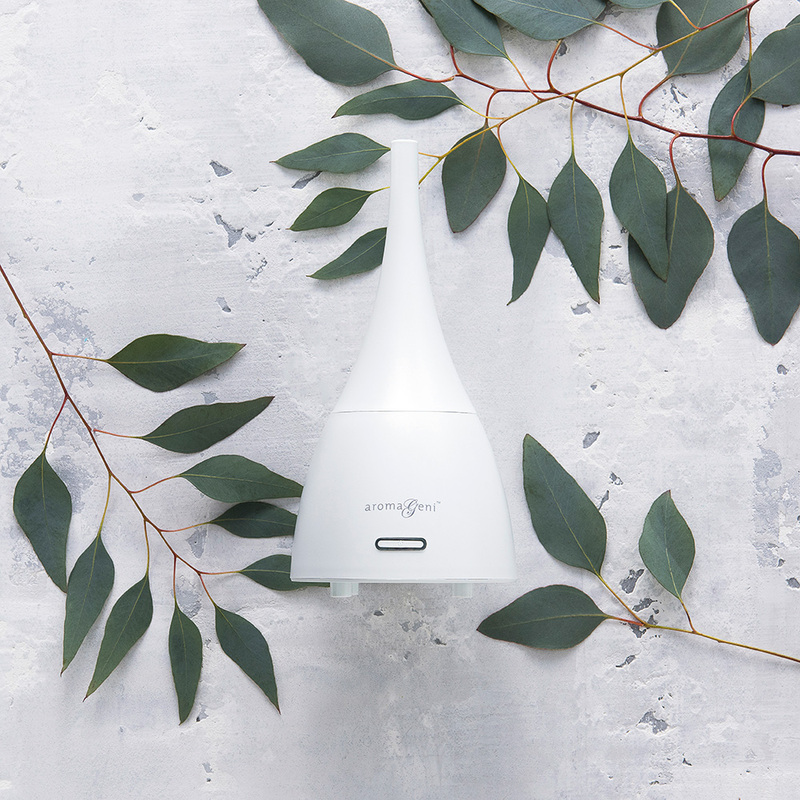 This ultrasonic technology, combined with water and a diffuser blend, produces negative ions and aromas that elevate your well being by dispersing essential oil molecules into the air. Heat-free to preserve the integrity of your essential oils for maximum benefit. 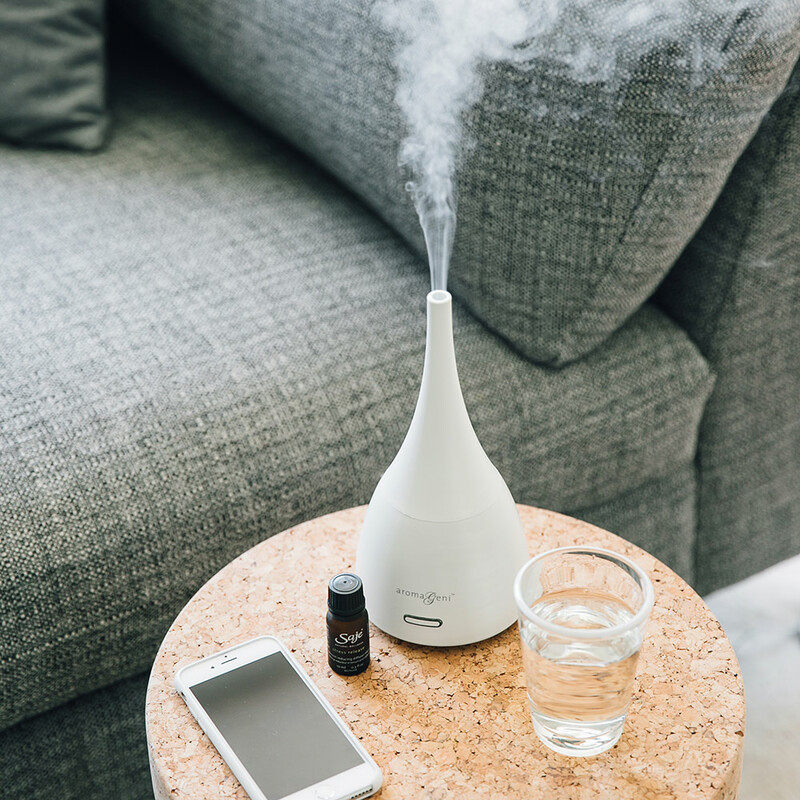 I was so excited to buy my first saje diffuser, I already had one diffuser that I loved, which was a different brand. I bought this diffuser for my bedroom and it broke within 3 months. It lights up and the motor runs but it won't blow steam. I took it to the store and they had to replace a part. About six months later, it is broke again. The other diffuser I have is twice as old and has never quit working. I would not recommend this product and I will not buy any other diffusers, you should expect quality especially given the price. I am a huge fan of Saje products! 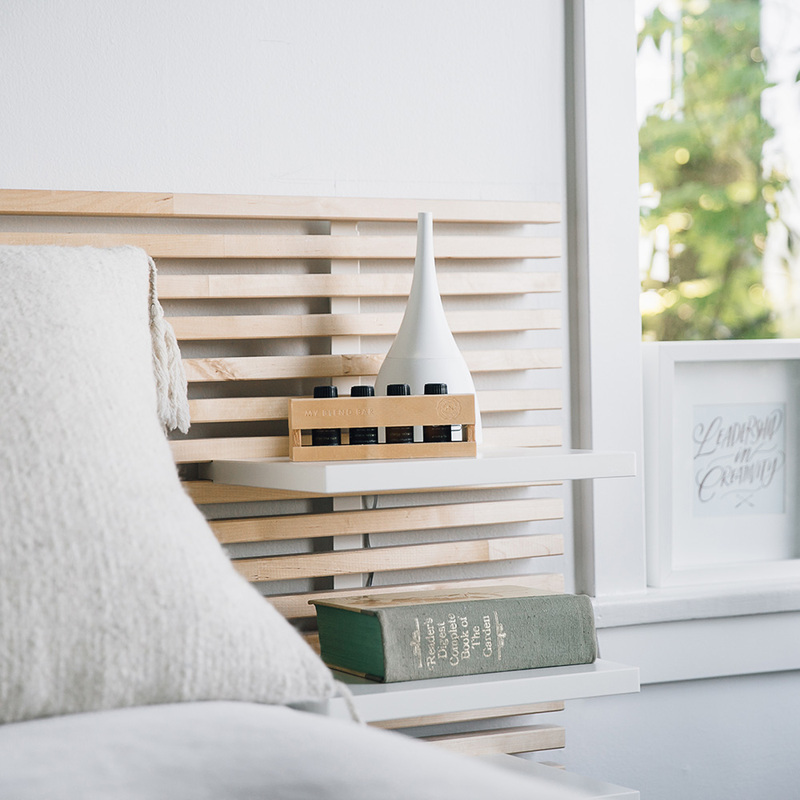 This diffuser is the perfect size for my bedroom and I have a variety of diffuser blends from Saje to go with it (which I love!). It purrs quietly in the corner for the perfect amount of time to fit my nightly routine, before automatically shutting off. My only qualm is that this is a replacement diffuser for the one I purchased last fall which worked for a while (until it died), and it was a bit inconvenient to have it replaced. The customer service was as helpful as they could be, but the process of replacing it was the issue (no exchange online and I had to send back/get refund/repurchase). Perhaps they could share a bit more information on how we can keep our diffusers running for longer, or make a product that is meant to last longer than 6 months! All things considered: would absolutely, highly recommend! Happy with the products and do not regret it, but the sage aroma oil I am using is lightly orange and due to that, the diffuser has been strained in light orange. 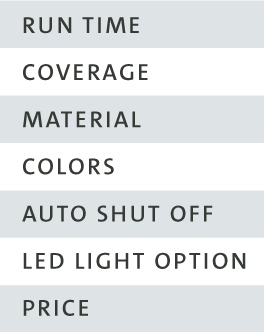 :( There is a light-green light and the sound it makes is quite but can maybe sound loud for someone sensitive. I am pleased with this product. It is perfect for my home office. I was thinking of purchasing another one.